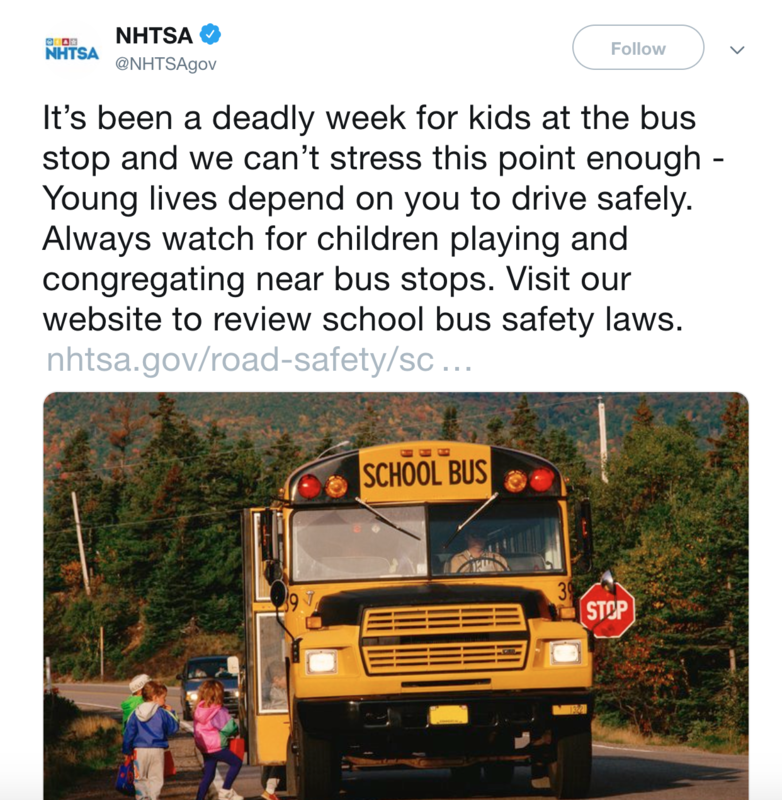 In the wake of recent tragedies involving motorists striking children headed to or from their bus stops, the National Highway Traffic Safety Administration make a statement reminding everyone to drive cautiously around school busses. "These horrible crashes may have been preventable had drivers had drivers simply obeyed state school bus safety laws, or been attentive drivers," said Heidi R. King, deputy administrator of the NHTSA. "It is illegal in all 50 states to pass a school bus when the red lights are flashing and the stop arms are exteneded." King's statements come after a week in which children in Indiana, Florida, Mississippi and Pennsylvania were either injured or killed by motorists. "We can’t stress this point enough - Young lives depend on you to drive safely," the NHTSA said in a Tweet Friday morning. The NHTSA reports children's greatest risk comes not from riding the bus, but approaching or leaving one. 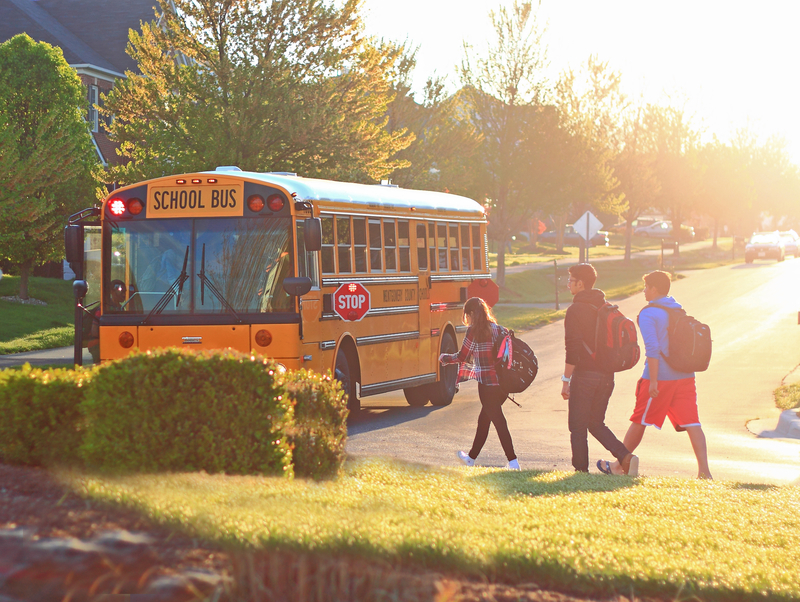 In fact, the NHTSA finds children are 70 times more likely to get to school safety when they take the school bus. • Arrive at the bus stop at least 5 minutes before the bus is scheduled to arrive. Stand at least three giant steps (6 feet) away from the curb. The bus stop is not a place to run or play. Flashing yellow lights mean the bus is preparing to stop to load or unload children. Slow down and prepare to stop. Flashing red lights and extended stop arms indicate the bus has stopped and children are getting on or off. By law, motorists must stop their vehicles and wait until the red lights stop flashing, the extended stop arm is withdrawn, and the bus begins moving again.